China will never seek hegemony or expansion – no matter what stage of development it reaches. This course will review and analyze the increased presence of PRC in the Contemporary Middle East and Africa. After the Deng Xiaoping came to power, he liberalized the Chinese state and economy. As a result of his economic policies, the PRC opened its doors to foreign investment and international companies. This trend created a “great transformation in Chinese society.” Over the next forty years, the Chinese middle class grew to a size of over three hundred fifty million people. David Harvey calls this process “neoliberalism with Chinese characteristics.” However, this economic transformation and the emergence of a large middle class in China created additional energy needs for the state and society. This led to a shift in Chinese foreign policy towards the Middle East. Therefore, over the last few years China, as an emerging global power, has heavily invested in the economies of Middle Eastern countries. However, there are other competitors in the Middle Eastern and African economic market; such as the United States and Europe. Although the Middle East and Africa are considered an American backyard, China is currently trying to enter the Middle Eastern and African market for its own energy and security needs. However, unlike in Africa, China has moved slowly in order not to disturb American National Interests. China is consequently sneaking into the Middle Eastern oil market without too much attention to this trend. In this class, we will review how the growing needs for oil and gas of the Chinese economy has shaped Chinese foreign policy in the Middle East after 1978. · Tugrul Keskin and Christian Braun. When a Sleeping Giant Wakes – A Neoclassical Realist Analysis of China’s Expanding Ties in the Middle East. Sociology of Islam 4 (2016) 1-26. Henry Kissinger. On China. New York, NY: Penguin Books, 2011. Jon B. Alterman and John W. Garver. 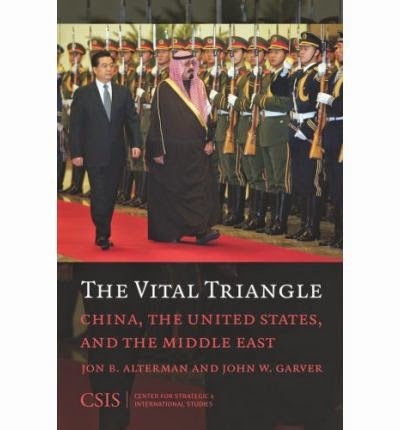 The Vital Triangle: China, The United States and the Middle East. CSIS, 2008. Scott Harold and Alireza Nader. China and Iran E conomic, Political, and Military Relations. RAND, 2012. James Chen. The Emergence of China in the Middle East. Strategic Forum National Defense University, 2011: SF No. 271 1. Kemp, Geoffrey. The East Moves West: India, China and Asia’s Growing Presence in the Middle East. Washington: Brookings, 2012. Simpfendorfer, Ben. The New Silk Road: How a Rising Arab World is Turning Away from the West and Rediscovering China. New York: Palgrave Macmillan, 2011. MacFarquhar R. The Politics of China: The Eras of Mao and Deng. Cambridge : Cambridge University Press; 1997. · “Turkey Dream” and the China-Turkish Cooperation under “One Belt and One Road” Initiative by ZAN Tao. · Antonov, Ivan. "China's Growing Role In International Affairs." International Affairs: A Russian Journal Of World Politics, Diplomacy & International Relations 57.4 (2011): 27-31. · Jin Liangxiang. Energy First China and the Middle East. Middle East Quarterly Spring 2005, pp. 3-10. · Huiyun, Tang. "China's Soft Power Construction Policy." Journal Of US-China Public Administration 9.5 (2012): 563-569. · Pantucci, Raffaello, and Alexandros Petersen. "China's Inadvertent Empire." National Interest 122 (2012): 30-39. · Rozman, Gilbert. "Invocations Of Chinese Traditions In International Relations." Journal Of Chinese Political Science 17.2 (2012): 111-124. · Xiao, Ren, and Gordon Cheung. "Sources And Transitions Of Chinese Foreign Policy: An Introduction." East Asia: An International Quarterly 28.3 (2011): 169-174. · Demır, İdris. "Revival Of The Silk Road In Terms Of Energy Trade." University Of Gaziantep Journal Of Social Sciences 9.3 (2010): 513-532. · Gee, John. "China's Challenges In The Middle East." Washington Report On Middle East Affairs 30.8 (2011): 30-31. · Menon, Raja. "The East Moves West, India, China, And Asia's Growing Presence In The Middle East." Maritime Affairs: Journal Of The National Maritime Foundation Of India 7.1 (2011): 121-128. · Peerenboom, Randall. "China And The Revolutions In The Middle East And North Africa." Middle Eastern Law & Governance 3.1/2 (2011): 192-203. · Pham, J. Peter. "China's “Surge” In The Middle East And Its Implications For U.S. Interests." American Foreign Policy Interests 31.3 (2009): 177-193. · Zambelis, Chris, and Brandon Gentry. "China Through Arab Eyes: American Influence In The Middle East." Parameters: U.S. Army War College 38.1 (2008): 60-72. · Harris, Stuart. "Global And Regional Orders And The Changing Geopolitics Of Energy." Australian Journal Of International Affairs 64.2 (2010): 166-185. · Hayoun, Massoud. "Strange Bedfellows." World Affairs 175.5 (2013): 89-96. · Olimat, Muhamad. "The Political Economy Of The Sino-Middle Eastern Relations." Journal Of Chinese Political Science 15.3 (2010): 307-335. · Gvosdev, Nikolas. "Don't Count China Out In Middle East." World Politics Review (2012): 1. · Gardels, Nathan. "It's Time For China To Start Shaping The New Global System." NPQ: New Perspectives Quarterly 28.3 (2011): 2-5. · Hulbert, Matthew. "Shifting Global Balance Heralds New Energy Imperatives." Middle East 438 (2012): 32-36. (M. Dorraj & C. Currie) Editors, China’s Energy Relations with the Developing World (London and New York: Continuum publishers, 2011). (M. Dorraj & C. Currier) “Lubricated With Oil: Iran-China Relations in a Changing World.”, Middle East Policy. Vol. 15, No. 2, (Summer, 2008): 66-80. (M. Dorraj & C. Currier) “Recasting the Silk Road in a New Era: China’s Expanding Influence in the Middle East” In Emilian Kavalski editor, China and the Global Politics of Regionalization (New York and London: Ashgate Publishers, 2009):165-176. (M. Dorraj & C. Currier) “In Arms We Trust: Strategic and Economic Factors Motivating China-Iran Relations.” The Chinese Journal of Political Science. Vol. 15, No. 1, (Spring, 2010): 49-69. (M. Dorraj & C. Currier) China’s Quest for Energy Security in the Middle East: Strategic Implications” In C. Currier & M. Dorraj editors, China’s Energy Relations with the Developing World (London and New York: Continuum Publishers, , 2011): 65-82. (C. Currier & M. Dorraj) “The Strategic Implications of China’s Energy Engagement With the Developing World” In C. Currier & M. Dorraj, editors, China’s Energy Relations With the Developing World (London and New York: Continuum Publishers, , 2011): 3-16. (M. Dorraj & J. English) “China’s Strategy for Energy Acquisition in the Middle East: Potential for Conflict and Cooperation with the United States” Asian Politics and Policy Volume 14, Number 1. (April, 2012): 173-191. (M. Dorraj & J. English) “The Dragon Nests: China’s Energy Engagement of the Middle East” China Report, Volume 49, Number 43, (June, 2013): 43-67. (M. Dorraj & J. English) “Iran- China Relations and the Changing Political Map” In Thomas Juneau and Sam Razavi editors, Iran’s Foreign Policy Since 2001: Alone in the World (London & New York: Routledge, 2013): 179-195. “Iran’s Expanding Relations with China and Their Strategic Dimensions” The Emirates Center for Strategic Studies and Research, Occasional Papers, Number 112, (Fall, 2013): 1-52. (With simultaneous publication of Arabic Translation). (M. Dorraj & C. Currier) China: La Busqueda De La Seguridad Energetica En El Mundo En Desarrollo “China’s Search for Energy Security in the Developing World” (in Spanish) in Alejandro Chanona Editor, Confrontando Modelos de Sequridad Energetica (Mexico City: National Autonomous University of Mexico, 2013): 143- 162. “Implications for Asia- Pacific/GCC Energy Relations” in Emirates Center for Strategic Studies and Research (ECSSR), Unconventional Fuels: The Next Hydrocarbon Revolution? (Abu Dhabi: ECSSR, Spring, 2015): 239-272. “The Future of Sino-Iran Relations” in Niv Horesh Editor, Toward Well-Oiled Relations? China’s Presence in the Middle East Following the Arab Spring. (London and New York: MacMillan Publishers, 2015): 193-203. · Yitzhak Shichor, Co-Editor with Jonathan Goldstein, China and Israel from Discord to Concord (Jerusalem: The Magnes Press, 2016), 306p., in Hebrew. · Yitzhak Shichor. China and the Palestine Liberation Organization: Ups and Downs, Policy Publication No. 42 (Jerusalem: The Leonard Davis Institute for International Relations, the Hebrew University, 1991), in Hebrew. · Yitzhak Shichor. A Multiple Hit: China’s Missiles Sale to Saudi Arabia, SCPS Papers, No. 5 (Kaohsiung: Sun Yat-sen Center for Policy Studies, National Sun Yat-sen University, 1991). · Yitzhak Shichor. East Wind Over Arabia: Origins and Implications of the Sino-Saudi Missile Deal, China Research Monographs No. 35 (Center for Chinese Studies, Institute of East Asian Studies, University of California, Berkeley, 1989). · Yitzhak Shichor. Small Cracks in the Great Wall: The Prospects of Sino-Israeli Relations, Research Report No. 5 (London: Institute of Jewish Affairs, 1987). · Yitzhak Shichor.The Middle East in China’s Foreign Policy 1949-1977 (London and New York: Cambridge University Press, 1979). Reprinted 1981, digitally printed version, 2008. · Mohiaddin Mesbahi and Mohammad Homayounvash. China and the International Non-Proliferation Regime: The Case of Iran. Sociology of Islam 4 (2016) 73-92. · “The Role of China’s Policy Banks in its Energy Acquisition Strategy in the Developing Nations” Wong Center for the Study of Multinational Corporations, Shanghai, China, January 23, 2105. · “China Looks to Deepen Relations with West Asia” Wong Center for the Study of Multinational Corporations, Shanghai, China, March 20, 2105. · “The Return of the Middle East to its Asian Home: Expanding Middle East- Asia Nexus and its Ramifications” Part1. Wong Center for the Study of Multinational Corporations, Shanghai, China, July 20, 2105. · “China’s Evolving Policy Toward the Palestinian-Israeli Conflict” China Policy Institute, University of Nottingham, UK, March 25, 2015. Blogs.Nottingham.AC.UK. · Geoffrey F. Gresh. The Gulf Looks East Sino-Arab Relations in an Age of Instability. Sociology of Islam 4 (2016) 149-165. · Manochehr Dorraj and James English. 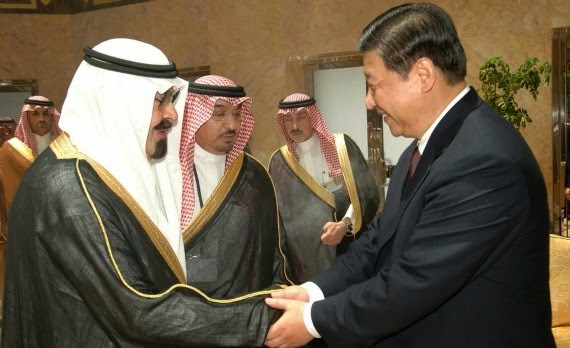 The Dragon Nests: China’s Energy Engagement of the Middle East. CHINA REPORT 49: 1 (2013): 43–67. Davis, Rowenna. "China Is Now Challenging The U.S. In The Middle East.." CCPA Monitor 16.3 (2009): 10-11. Ford, Peter. "Libya unrest tests China's interests in the Middle East." Christian Science Monitor 02 Mar. 2011: N.PAG. Topol, Sarah A., and Peter Ford. "Q&A: Why China has become the Middle East's favorite customer." Christian Science Monitor 13 July 2010: N.PAG. · China-Arab Forum: How is China facing a multi-polar Arab world? The goal of this course is to enable students to write a theoretically guided and empirically rooted research paper. I expect you to become familiar with the social, political and economic underpinnings of transformations in the Modern China and the Middle East and Africa. The success of this course depends on your continued and sustained reading and participation. The course will be based on a four-dimensional method of learning, and this includes inquiry and critical thinking; communication; the diversity of human experience; and ethics and social responsibility. First, I would like you to critically analyze what you learn in this class or have learned so far through the media and education, because in today’s world, truth is a relative concept. Throughout human history, critical thinking is the one of the most important factors that has contributed to human development. In order to become active, self-motivated, empowered learners and future leaders, you will need to have the ability to think critically, and therefore your criticism, feedback and suggestions are necessary. Second, I would like you to enhance your writing and oral communication skills in this course. Therefore, it is important to clearly elaborate your arguments in the class discussion as well as in the written assignments. Third, we are each part of the human mosaic, and all have different experiences based on our social, political and economic differences. We can all learn from and respect each other and benefit from our diversity. Please try to learn from and understand those with different perspectives than you. Lastly, we need to learn that we are all part of this intellectual community and larger society, and all have social and ethical responsibilities to our family, community, classmates, and humanity. We live in a globalized world and therefore, we need to be aware of events in our community, and the world today. In order to enhance our knowledge, we must critically examine our social, political and economic environment in order to apply this knowledge to our experience. Grades: Your grade for this course will be based on your performance on the following components, shown below with their dates and respective weights. Quizzes: You will have 4 quizzes. The quizzes will have 20 questions from each week’s class readings and discussions. Each Quiz is worth 10 points and each question is worth 0.5 point. You will find the schedule of quizzes below. Please carefully review the quiz schedule. If you have schedule conflict, drop the class. If you have any questions or concerns, please do not hesitate to contact me directly. Class Presentation: Each week, one or two students will be assigned a weekly topic from the readings. These students will summarize the readings and prepare a content outline and 4-6 questions for the class, in order to come prepared to lead the class discussion for 15 minutes. Each student must always read the course materials before they attend class, and I expect you to participate actively in the class discussion. I strongly recommend that you present in earlier weeks rather than later in the semester, because you may not find the right time available to present, and will lose presentation points. Presentation dates are available on a first-come first-served basis. The timeline for weekly presentations will be provided in the first week of class. After we have filled in student names and finalized the weekly presentation schedule, it will be sent it to the students. Final Paper and Analytical Paper: Please understand that this requirement involves a two-step process. You will select a global issue and write a critical analysis about this issue related with China and the Middle East. It should be at least 4000 words and you must provide a word count at the end of your paper. Everyone will select a different topic. Your selection must be approved and registered by me; therefore, you must contact me directly regarding your topic selection. The deadline for selecting/registering your topic is Sunday, the 5th week of the class. The Final Paper is due on Sunday June 9th, the last week of school. Late submissions will not be accepted. Attendance: Regular attendance is one of the most important parameters to successful completion of the course requirements. If you miss more than 4 classes, you will not receive an attendance grade. Excuses will not be permitted for any reason. Class Participation: Each student must read the course materials before they attend class and I expect them to participate in class discussion. Class participation in the form of informed questions and comments will be taken into consideration when determining your final grade. Additionally, the class participation grade also depends on class attendance. Newspaper Articles: During the semester, you can bring 10 newspaper articles related with our class subjects. You cannot bring more than one article in the same week. You will have to summarize these articles in class and will find the recommended newspapers listed on http://internationalstudiesandsociology.blogspot.it/, under the external links section. Newspaper articles sent by email will not be accepted. Please bring it to class, the first page of the printed/hard copy of the article. You can only bring an article from the selected newspapers, posted on http://internationalstudiesandsociology.blogspot and you will find them under links section. Some of the recommended newspapers are The Guardian, Al-Jazeera, Democracynow.org, Financial Times, The New York Times, The Wall Street Journal, Pravda, Haaretz, China Daily, and the Economist. Coming late to class: Late comers will not be accepted to class, so be on time. If you are late for a class, please do not disturb your classmates and me and do not come at all. Please also do not send an email or call me regarding your class attendance. If there is a medical need, bring an official letter from a doctor. Whatever the reason is, if you cannot come to class, this is your responsibility. If you miss more than 4 classes, you will not receive an attendance grade. Laptop and cell phone policy: No laptops or cell phones will be allowed in this class. Please turn your cell phone off before you come to class. If you use the Internet/laptop or your cell phone during class, you will be asked to leave. Responsibility: You and/or your parents pay tuition for this class; therefore, you have responsibility to yourself and/or your parents. Passing or failing the class is not the main objective, rather that you learn and improve your knowledge. Please read and try to understand the main concepts of this class. If you are having difficulty, please do not hesitate to see me and discuss your concerns! Each year, millions of people graduate from Chinese, American or global universities (see http://collegecompletion.chronicle.com/). As you will see from the statistics, the job market is very competitive; therefore, students need to improve their knowledge, skill, and experience in order to find a job they want. Learning is a lifelong process. An academic institution like Shanghai University will provide you with an educational discipline and methodology; everything else is up to you. You should study and improve your skills, in order to compete with the rest of the graduates. While you are in the program, you should apply for internships to obtain relevant experiences before you graduate. Therefore, if you need a letter of recommendation for an internship or job, please do not hesitate to ask me, if you receive at least an A, A- or B+ grade from my class. Please also remember that an undergraduate degree might not be enough to find the job you want; therefore, you might need to apply to graduate school. In order to apply to graduate school, you will also need to have a letter of recommendation. I am also happy to advise you on graduate school or provide a letter of recommendation if you receive an A, A- or B+ grade. No Laptops and cell phones will be allowed in this class. · Chaziza, M. (2017). Israel–China Relations Enter a New Stage: Limited Strategic Hedging. Contemporary Review of the Middle East, 5(1), 30–45. · The Chinese Breakthrough in the Arab and Mediterranean Markets. Bichara Khader. 2018. · CHINA’S RELATIONS WITH AFRICA AND THE ARAB WORLD: SHARED TRENDS, DIFFERENT PRIORITIES. LINA BENABDALLAH. Chapter One: China and North Africa: An Overview. · Adie, W. A. C. (1964). Chou En-lai on Safari. The China Quarterly, 18, 174. · Sino‐African Relations: A Review and Reconciliation of Dominant Schools of Thought. Simplice A. Asongu. Politics and Poilicy, 2016. · China's Expanding African Relations Implications for U.S. National Security. Lloyd Thrall. RAND, 2015.